The scope of the digital landscape has changed as quickly as planning and execution has. Welcome to the digital age! It’s a perfect storm of epic proportion. Technology trends such as AI, Cloud, Mobility, IoT, 5G, Big Data and analytics all coming together; the growing and aging population, rapid urbanization, government and political policy shifts, Brexit, millennials entering the workplace, you name it, things all seem to be happening at the same time, don’t they? That means there is a lot of work to be done. In order to stay relevant and deliver growth to stakeholders in this world of fast-paced change, brands must drive innovation at the speed of digital and be agile enough to move manufacturing workloads quicker than ever before. But that’s not all. They must also leverage scarce and expensive technology and engineering resources and master the art of supply chain orchestration to ensure a personalized and superior customer experience. Well, that’s no easy task. There is no end in sight for the massive digital transformation brands must undertake to stay relevant and successful. I talk to customers at our Blue-Sky Center every day, and I believe there is a divide inside many companies. We often see digital transformation efforts focused on ad-hoc projects or a single piece of the enterprise. However, these disjointed efforts don’t help brands master the digital transformation journey. At the end of the day, they cripple it. That’s why an enterprise-wide transformation requires just that: involvement from numerous cross-functional teams. In January 2018, Jabil sponsored a Digital Transformation Survey, to better understand the experiences, challenges, and trends brands are facing during their digital transformation journey. One of the most reliable signs of a company’s strategic commitment is the level of attention from senior leadership. 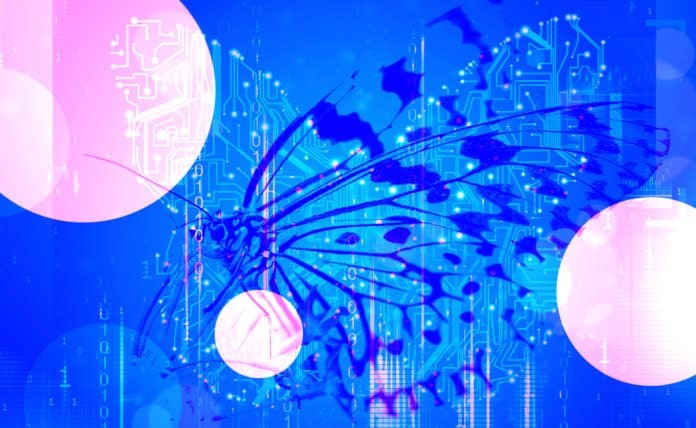 By this measure, digital transformation is clearly important to brands, with 85 percent reporting that executives understand the criticality and support transformation efforts. This demonstrates a clear increase from two years ago, when 78 percent reported the same thing. Not only has overall leadership visibility increased, the level of leadership involvement has moved aggressively up the ladder all the way to the boardroom. In the past two years, the greatest increase in leadership support has come from the board. In 2016, less than 1 in 5 companies (18 percent) reported board-level support for their digital transformation efforts. This increased to 29 percent in the 2018 survey, a remarkable 62 percent growth. While digital transformation has the potential to drive powerful results, the ability to execute can depend on less fascinating foundation work. Infrastructure limitations such as inadequate network capabilities and legacy applications that could not integrate with new systems have impacted the digital transformation activities of three-quarters (76 percent) of brands, according to our survey. Therefore, it is comforting to see that brands are setting priorities in their digital transformation investments. A staggering 99 percent of companies are investing in their technology infrastructure and ecosystems including the cloud, mobility, big data, analytics, artificial intelligence, and enterprise solutions. As with any digital transformation journey, investments must begin internally to set up the systems that can sustain a company’s digital future. Disjointed and outdated platforms will hold you back from achieving enterprise goals. It is critical to set up your systems in accordance with core objectives so the company is prepared to bring the necessary support. Next, respondents make the second largest investment in the area of customer and production innovation including the Internet of Things (IoT), intelligent digital supply chain, additive manufacturing and automation, as well as ideation and design. Once internal investments are made, these customer-facing investments are key to delivering exceptional products and services. Last but certainly not least, brands have been investing in new digital business models such as subscription services, data solutions from IoT, and advanced manufacturing capabilities and services. The digital transformation is a great place to develop incremental new revenue streams. Given the level of investment brands are making in their digital transformation, it is no surprise that the pace is expected to increase in the near future. Ninety-five percent report that the pace of their transformations will accelerate in the next three to five years, with one in five expecting the pace to accelerate very quickly. Regardless of the higher pace, it is important to remember that the digital transformation is a journey. When we ask the stakeholders where their company is in their transformation journey, an interesting trend appears. In the past two years, the number of companies saying that they are fully digitally transformed has remained flat (8 percent both years). Likewise, the number saying that they plan to be fully digitized and are executing. The big change we saw in the past few years is a shift for some from ad-hoc digitization projects towards those who are working with a more overarching plan. These results would suggest that, in the last two years, forward movement has been made in digital transformation initiatives, but so has the understanding of the needs of the journey. As executive visibility and investments increase, the planning phase likely expands accordingly. So, while it may feel like no progress is being made, that is simply because the scope of the landscape has changed as quickly as planning and execution has. The notable move from ad-hoc projects to planning demonstrates an important step in the digital transformation journey as these initiatives increase in overall company relevancy. Therefore, I’d like to echo Erich Hoch’s, Jabil EVP and CEO of Jabil Digital Solutions, sentiments: Take the first step, be open, and adjust on the way to your digital transformation. That’s how you build a culture of agility within your organization. It is particularly interesting that most of the challenges reported have seen a notable decrease in the past two years as digital transformation stakeholders gain experience. Fewer are facing issues such as organizational structure getting in the way of decision making, employee pushback, and lack of understanding among company leadership. Only two challenges saw an increase in the past two years. These included inadequate budget and a mismatch between existing toolset and organizational capabilities. The challenges reported by digital transformation stakeholders included a mix of technology issues and people issues. When asked which was hardest, digital transformation stakeholders were more likely to indicate that culture and organizational changes were the hardest. Among the companies represented in this study, about half produce the type of analog solutions that could benefit from IoT capabilities. Among these companies, there is aggressive movement towards enabling product connectivity. While all are working on producing IoT solutions, 35 percent are actively shipping and 54 percent have a plan to produce such solutions. The companies that are currently producing IoT-enabled solutions or have plans to do so are in complete agreement that the data generated by these solutions will be important to their digital transformation initiatives. Whether it’s developing IoT solutions, transforming their factories, or better leveraging cutting-edge technologies, 88 percent of respondents stated that their manufacturing partners would play a role in their digital transformation initiatives. Some respondents expect their manufacturing partners to deliver needed transformation capabilities or provide needed services, while others expected help navigating the constantly changing technology landscape. Several participants shared that they expected to learn from their partner’s experiences with other companies and have them share best practices. A total of 302 respondents completed the online survey. Participants were either in a technology implementer or business stakeholder role and had professional responsibility for their company’s digital transformation journey. Certain questions were repeated from a similar 2016 survey to enable trend analysis. Participants represented a wide range of geographies, company sizes, types of goods manufactured, and roles. In January 2018 during the World Economic Forum, I was interviewed on DisrupTV by Vala Afshar and R “Ray” Wang on the topic of digital transformation. As I mentioned then, there is a cultural divide within corporations when it comes to the digital transformation journey. Companies must close the gap and work together as a team to create a shared future. We will all be better off for it. Written by Joanne Moretti, SVP and Chief Marketing Officer, Jabil. This article originally appeared on the Jabil Blog.